UKFast has revealed it hit a turnover of £40m in 2016, driven largely by a 40% increase in its eCloud product. The Manchester-based cloud and colocation business saw its sales increase by £5.7m, from last year's £34.3m, meaning it has now doubled sales since 2012. Its eCloud range now delivers more than £14m in annual revenue. It also recorded an overall EBITDA of £17.6m and a 6% increase in customer numbers. 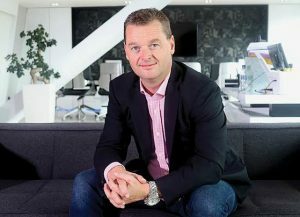 UKFast CEO Lawrence Jones MBE said: “It's difficult to pin one or two successes down as the defining moments of the past year. Our eCloud range continues to energise the British tech community and UKFast’s growth is, as ever, down to the efforts of the whole business – from the R&D department through to the breakthroughs in the way we support people 24 hours a day. The company said it had invested £4.5m in its training and development centre, and the firm took on 50 apprentices last year. It has also recently teamed up with educational provider The Dean Trust to launch a new high school focusing on digital literacy in Manchester, with the new school receiving government approval last month. UKFast is also preparing to expand into a second 40,000 sq ft building adjacent to its current campus in Manchester Science Park.